Drop biscuits with cheddar cheese and fresh chives. 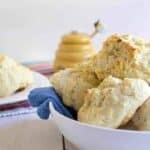 Cheddar Chive Biscuits are easy to make and delicious to eat. As much as I love baking, I am a lazy biscuit baker. I’ve already shared with you baking biscuits in a pan. I try to avoid rolling out and cutting biscuits. I’m not sure why. I don’t have any problem making pie crust and rolling it out. I make sugar cookies and roll them out and then use a cookie cutter. But with biscuits, I always seem to find a shortcut. 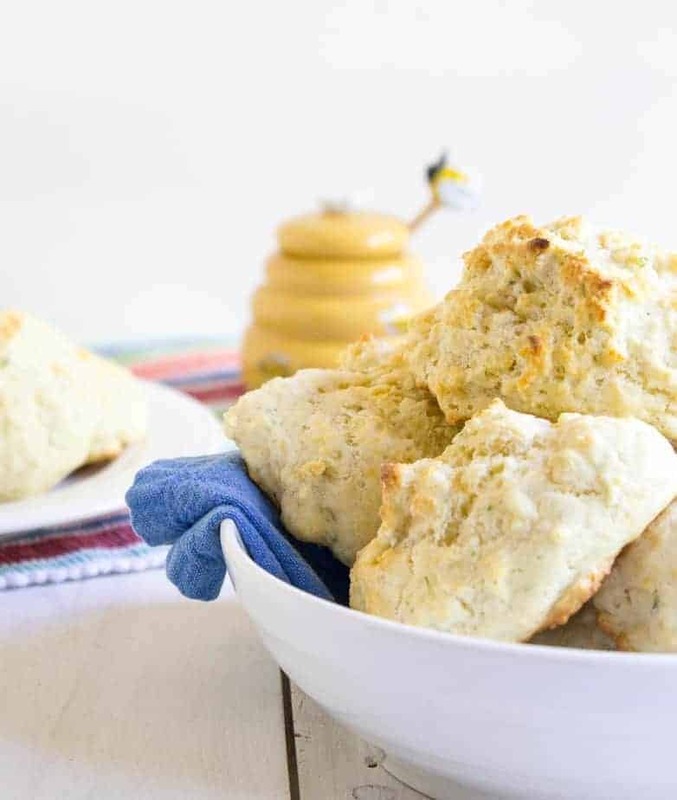 I love how easy these biscuits are to make, but I also love the craggy top and rustic look to these biscuits. There’s just a bit of cheddar cheese and chives. If you wanted a heavier chive taste, you could double or even triple the amount of fresh chives. To make these biscuits even easier, I’ve made them in the food processor. You can also just use a bowl. A food processor speeds up the whole biscuit making process. These biscuits would be perfect with a nice bowl of soup. Maybe White Chicken Chili, Enchilada Soup or this Stuffed Pepper Soup. 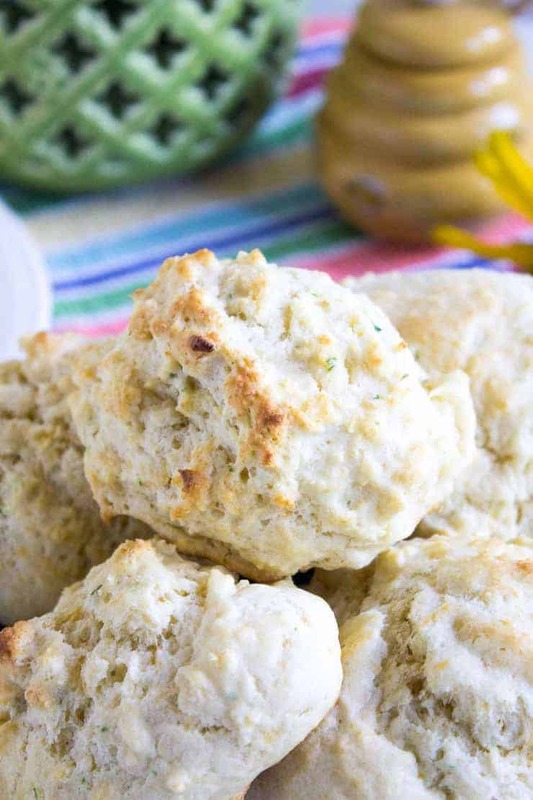 If you are looking for additional biscuit recipes, check out these Ham and Cheese Biscuits. Place flour, baking powder, sugar and salt in a food processor. Pulse just to mix ingredients. Add chives, cheese and milk. 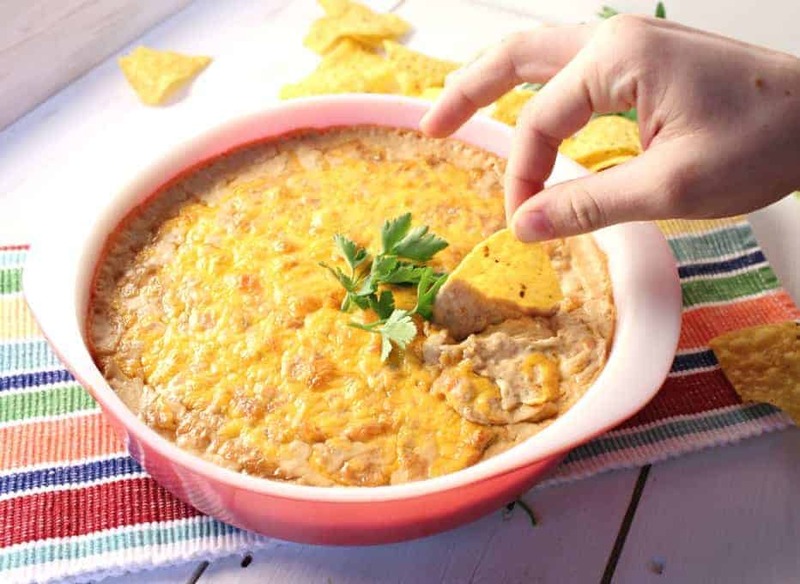 Use a large scoop to make mounds on a a lightly greased baking sheet. I could eat a whole pan. I think easy drop biscuits are just as delicious as the rolled out version. Love, love this style. Thanks for sharing. This is my first time visiting your blog. I will definitely be back. Thanks, Velva 🙂 There’s nothing better than easy and delicious! There is nothing like homemade biscuits. Whenever we have them for a holiday I end up having about three on my plate and no room for anything else. The cheddar cheese and chives sound perfect in here! Your little honey thing with the bee on the end is adorable! I do love me a drop biscuit and I’m all about making things easy. 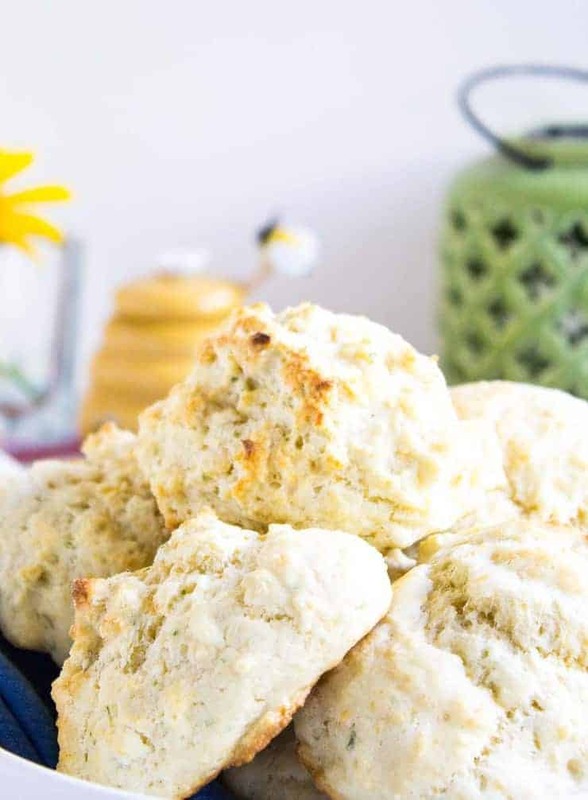 These cheddar chive biscuits sound absolutely delicious! 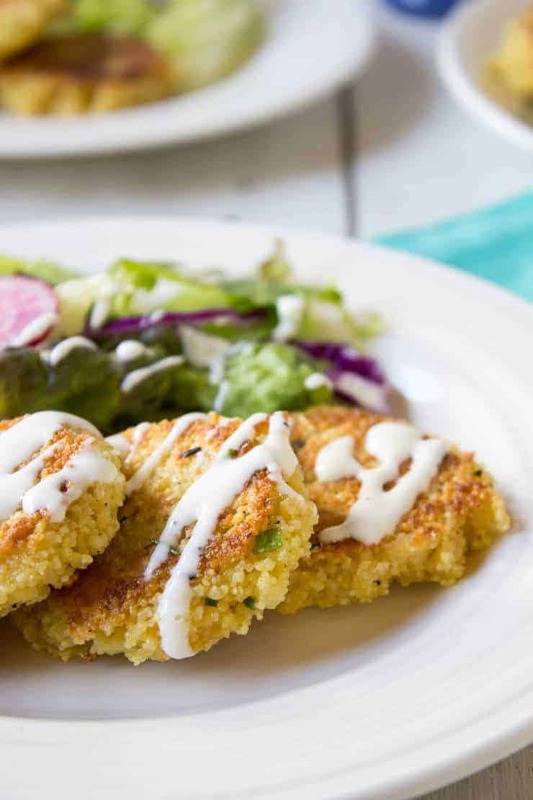 These look and sound so delicious Kathy! And so easy too! Perfect for summer! Mmmmm, these biscuits look so good, Kathy. 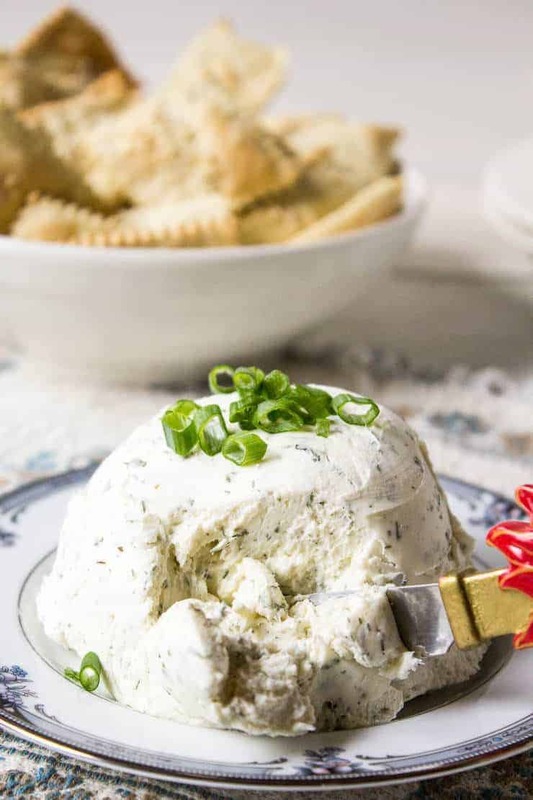 Cheddar and chives, what a great combo, and I wish I can have 2-3 of these right now! Have a beautiful weekend my friend. Biscuits are my everything! And these chive cheddar flavored ones sound bomb. Hahahaha, nothing wrong with being a lazy baker!! Especially when lazy results in delicious drop biscuits! LOVE these, Kathy! I could definitely demolish the entire tray of these in record time!! Cheers, friend! I swear I could eat an entire batch of these, especially since you put CHEESE in them! Perfection. Yes! Love biscuits, especially cheddar and chives, what a great combo! Their look might be rustic but the flavor is awesome. I am a huge biscuit fan too! I just can’t resist a fresh cooked one.